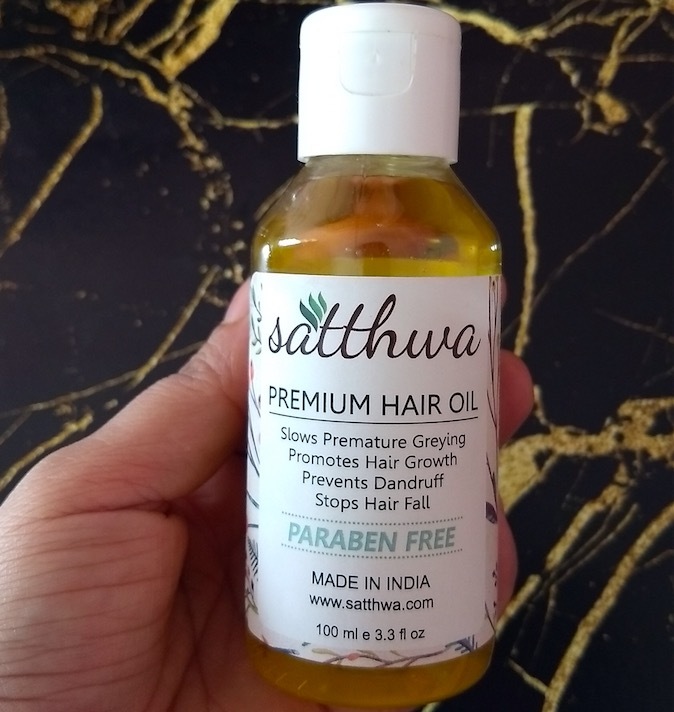 Hey everyone, today I’m going to review the Satthwa Premium Hair Oil that was sent to me for the reviewing purpose. 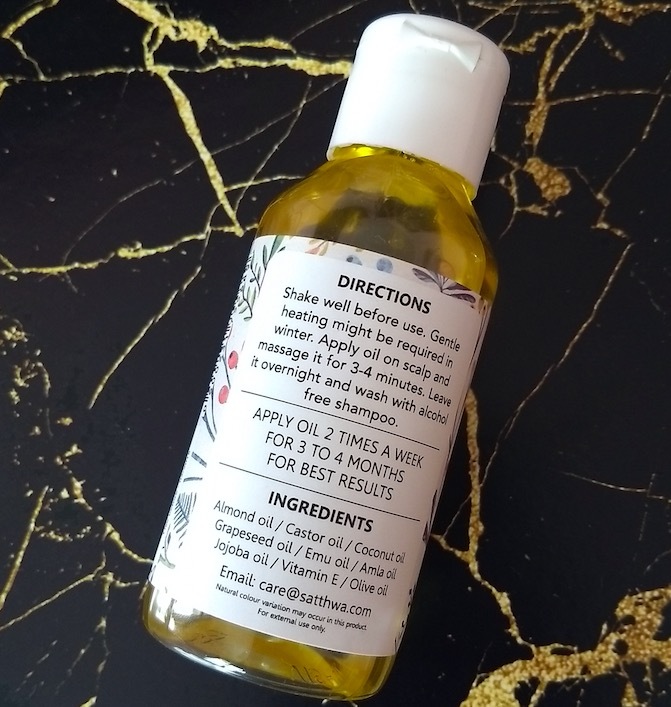 I’ve been using this hair oil twice a week for the past one month and today I’m sharing my views about it. Satthwa premium hair oil is enriched with 9 amazing oils which make hair longer, stronger and healthy. It claims to clean the scalp by unclogging pores, helps in new growth, and stop premature hair graying. You can visit their website satthwa.com to know more about the brand. Packaging: Satthwa Premium Hair Oil comes in a clear plastic bottle with a white flip-open cap. The product related important information is mentioned on the bottle. 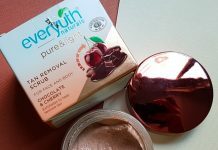 The packaging is compact and very hygienic to use. 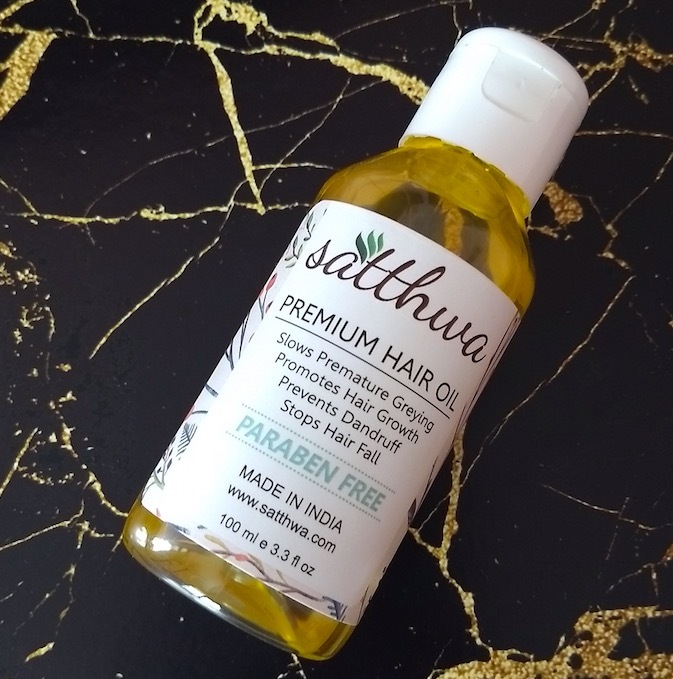 Price & Availability: The price of the Satthwa Premium Hair Oil is Rs.599 for 100ml. It can be bought online at Amazon.in, Flipkart.com and also from their official website here. 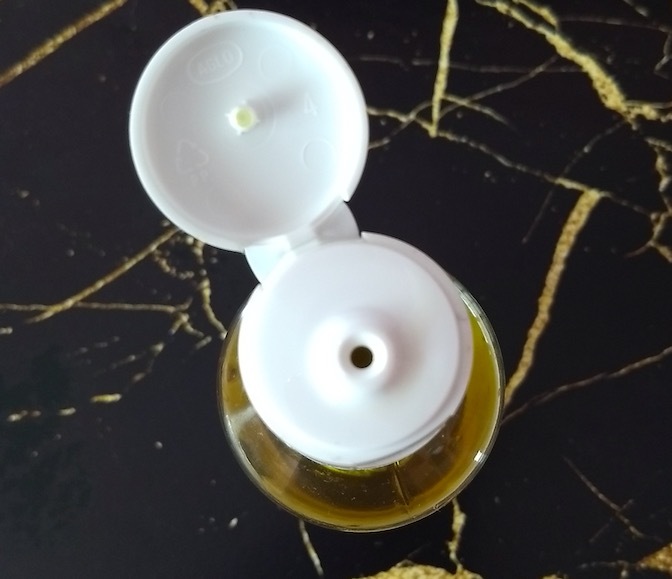 My Experience: The hair oil comes in a golden yellow color and has a slightly thick consistency. It has a herbal mix scent which is not too strong though. I generally pour some oil in a bowl and then massage it nicely on the scalp using my fingertips. It absorbs nicely into the scalp and doesn’t leave any sticky or itchy feeling. 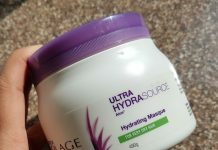 I keep it on for 5-6 hours (you can keep in overnight) and then wash it off with shampoo. It can be easily removed from the scalp with the shampoo. After one month’s usage, it has reduced my dandruff up to certain extent and also controlled the hair fall. I still loose a few strands of hair during every wash but now the hair fall is way less in comparison to the past. Its moisturizing properties help in reducing the itch on the scalp. I do have gray hair and I’ve not noticed any slowdown in hair graying after using this product. Also, I’m not going to comment on whether this hair oil is effective for baldness or not. It is infused with some amazing natural oils that have miraculous benefits for the hair and scalp. A light hair oil that sinks completely without leaving uncomfortable or itchy feeling. It does reduce dandruff up to certain extent. It is quite effective in controlling hair fall. Suitable for all hair types and ideal to use by both men and women. The scent is not too strong. 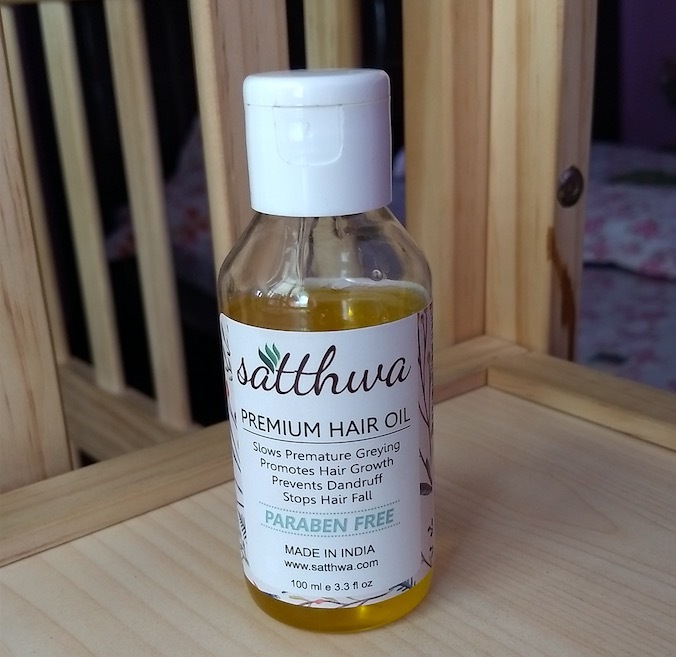 Overall Satthwa Premium Hair Oil worked well for my hair. It reduced dandruff and hair fall up to a certain extent without causing any allergy or reaction to my scalp. 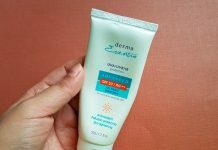 It is worth trying this product. Recommended!